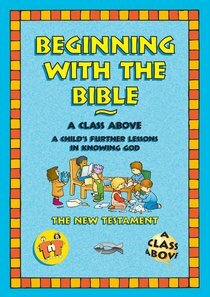 About "Beginning With the Bible: The New Testament (On The Way Series)"
As part of their teaching resource package TNT have designed material for 2 - 3 year olds. The book can be used in conjunction with On The Way and gives sound teaching to very young children.^^Teachers are encouraged to read their Bibles in order to prepare the lessons.^^The lessons are short and systematic, based on characters and stories from the bible. Each lesson includes a reproducible activity for the children to complete. There is also help for the teacher with a complete lesson plan, prayer and visual aids for every lesson.^^The New Testament book includes 29 weeks of teaching, including Jesus life from birth to the transfiguration, Peter, and Paul.^^There is also The Old Testament book with 28 lessons available in this series.